Shredded abrasions, soft fading and dimensional whiskering add worn-in character to stretchy skinnies cropped with raw hems. 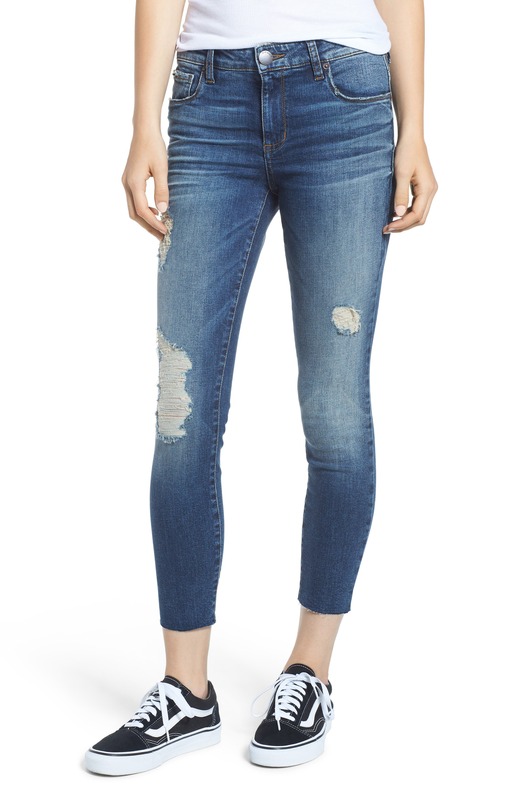 Style Name: Sts Blue Ripped Cutoff Crop Skinny Jeans (Flora). Style Number: 5621127. Available in stores.